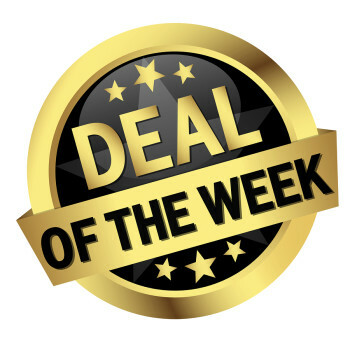 Look For A New Deal Of The Week Every Monday! Happy Head Massage has launched their long anticipated Deal Of The Week program. This new savings program offers our happy customers the opportunity to purchase discounted massages and products at Happy Head Massage below our already great prices. We’re bringing “great massage without spa prices” to an entirely new level. Happy Head’s Deal Of The Week promo offers a new service or product every week at a price that is discounted from their already low prices. The deal goes live every Monday morning at 10am pacific time and will offer a new service or product every week. The deal will be limited so regular customers are encouraged to check the website regularly to ensure they don’t miss out. To view the deal, just click on the Deal Of The Week link at www.HappyHeadMassage.com or bookmark tinyurl.com/glfnfxy and be sure to check every Monday for the latest deal to ensure that you do’t miss out before it sells out. Happy Head Massage in San Diego is slowly changing the massage industry for the better. The facilities at the Happy Head are clean and convenient. However the service that customers receive rival even some of the best high end spas at a fraction of the cost. A one hour Asian style body and foot massage starts at only $35. So stop reading and head on over to score the latest deal before it’s too late. Because once it’s sold out you’ll have to wait till the next deal goes live. Our Biggest Deal Of The Year Is Live!